OK, before offing to eBay, just trying to see if anyone may be interested. On some items I am open to offers especially on multiples. For the loose figures, $2.50 to ship in the US. If you want 2 or more figures, USPS priority shipping small flat rate box will be used for $5. UK,CA,EU & AU shipping will be around $10 for one or many. I can get an actual quote for you and charge just that price and am willing to work with you on details. It's all about the weight of course. Payment via Paypal gift or add 4% to cover fees as normal Paypal purchase. Leia Bespin Turtle Neck AFA 80 $40 SOLD!!!! Polish articulated Darth Vader $40 SOLD!!!! Shipping included in price for US. UK,CA,EU & AU add $10 for USPS First class with tracking (can work with you for customs info/values or offer another service for exact costs). MOC ships in a Star Case (or equivalent) and as bomb-proof as I can. I just upgraded a tad to an un-punched, so off she goes! Made in China. Card is punched and very nice with only small shelf wear. 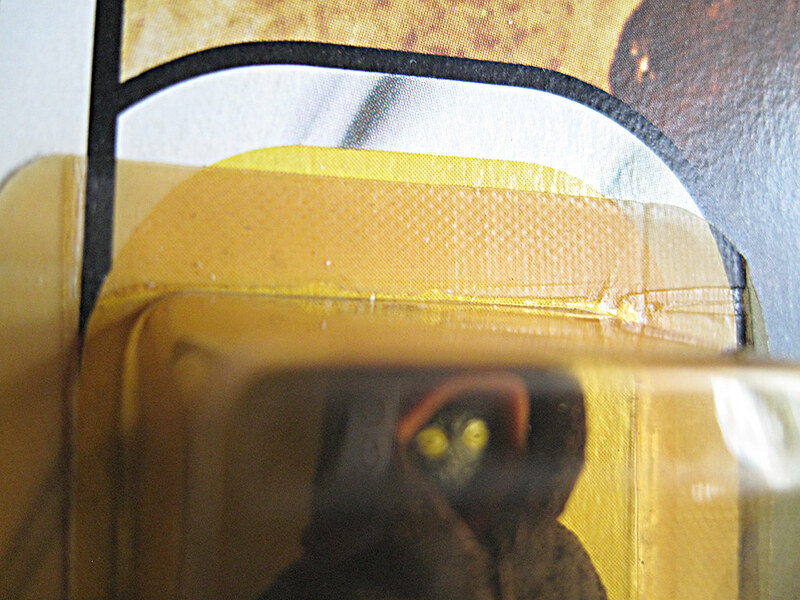 Rear punch has a small tear and there is a tiny, barely visible crease circled. Bubble is yellowed but overall very nice. 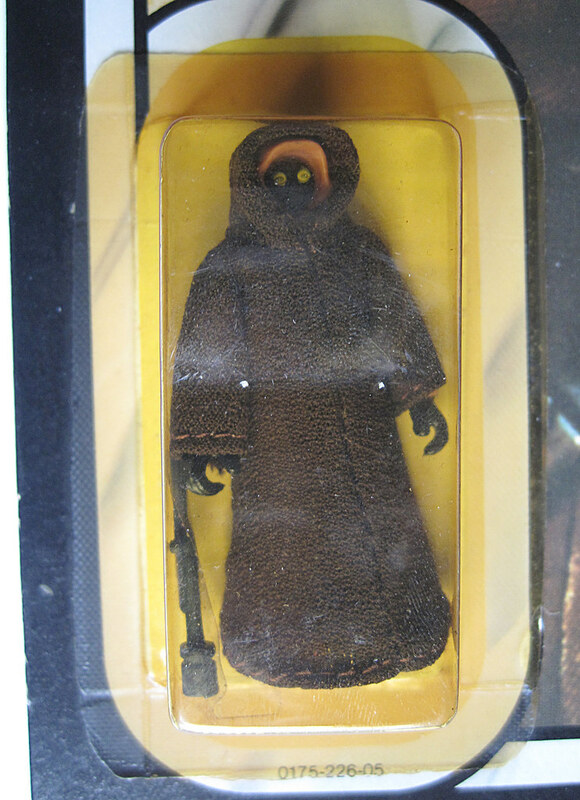 Jawa ROTJ 77A - $85 - SOLD!! Made in China. Card is punched and overall in really nice shape with just a little wave which I am sure can straighten flat in time in a case. Bubble is fully seated and has no dents but has yellowed. 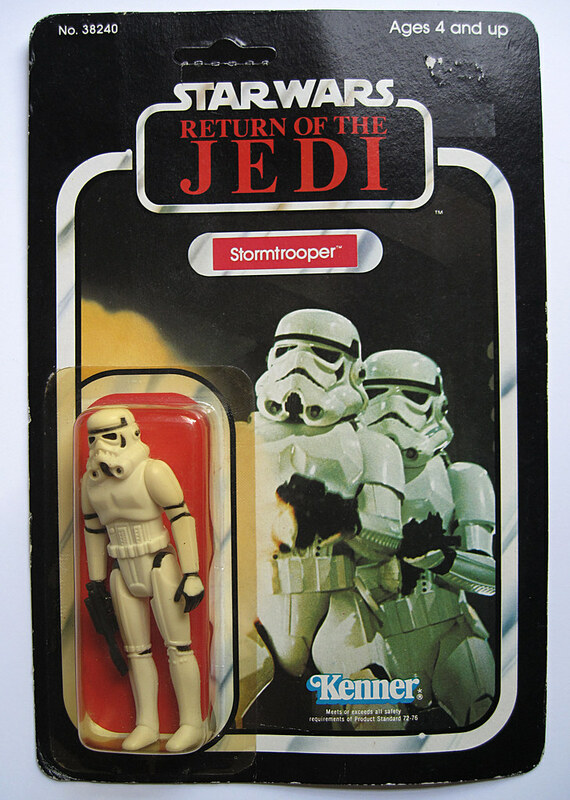 Stormtrooper ROTJ 77A - $85SOLD!! Card is un-punched and overall in nice shape with a little wave which I think can straighten flat in time inside a case or with heavy books. 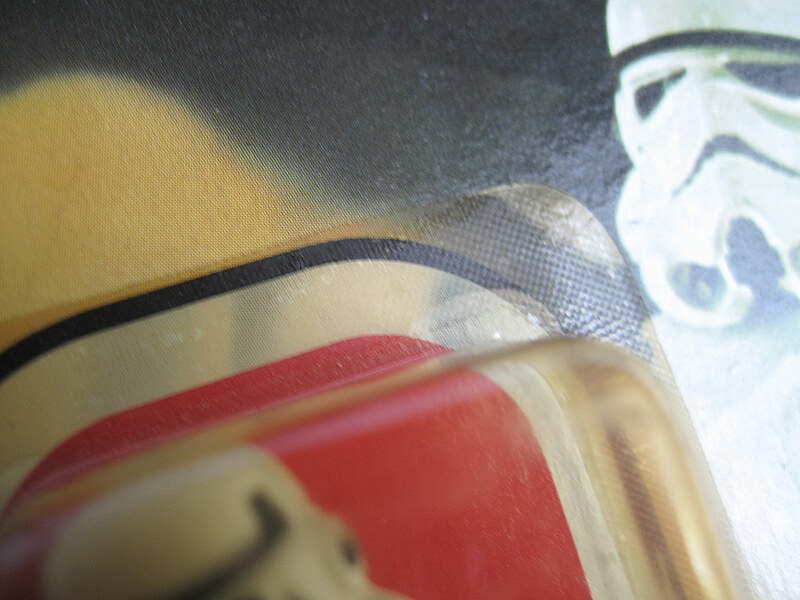 Card's back has fading due to light exposure over the years. Bubble is fully seated and has no dents but has yellowed a bit. 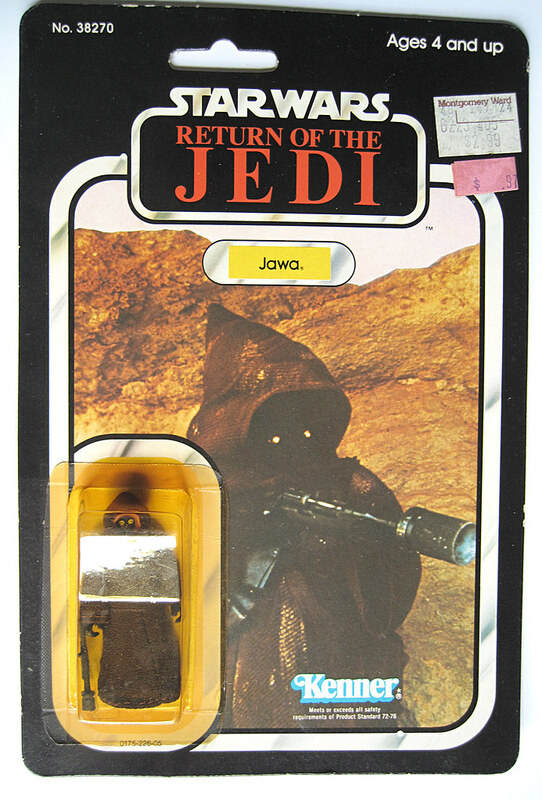 Jawa SOLD pending payment! Thank you! 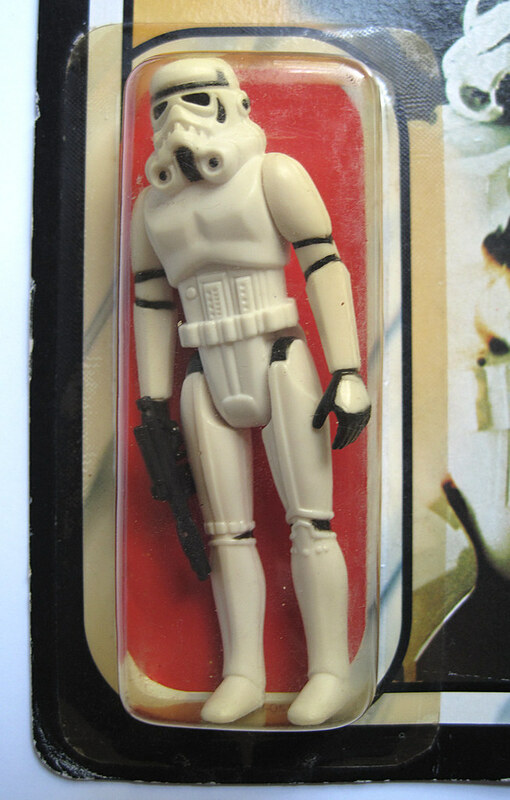 Has the Leia misted a bit or is that just how the pics turned out? Yeah, the China COO in particular is very susceptible to this frosting and this MOC does show it. I forgot it had some when listing (yellow bubble kinda hides it). I only had it for a short while and just upgraded it otherwise I would have introduced her to the sun to try to clear it up which I have had pretty good success in the past couple tries on this COO before. I could give it a go to try to reduce it a bit before I sell it but I'd rather leave that up to whomever picks it up. No problem. Super mocs. I'd have snapped one of them up if I hadn't spent all my pocket money. Hopefully one of them survives until I save up. for price reduction on Leia Bespin 65B MOC! 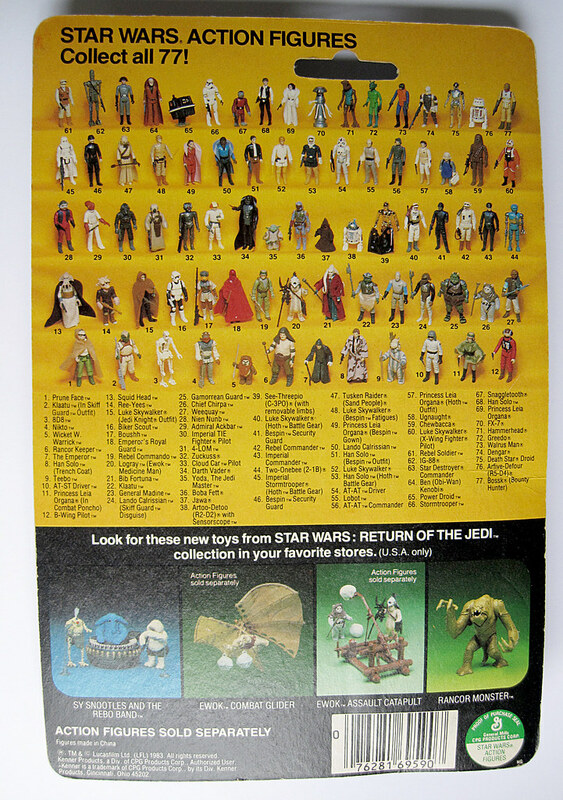 and added a handful of loose figures including Polish bootlegs, AFA Leia B, Kenner and Glasslite C-3PO. 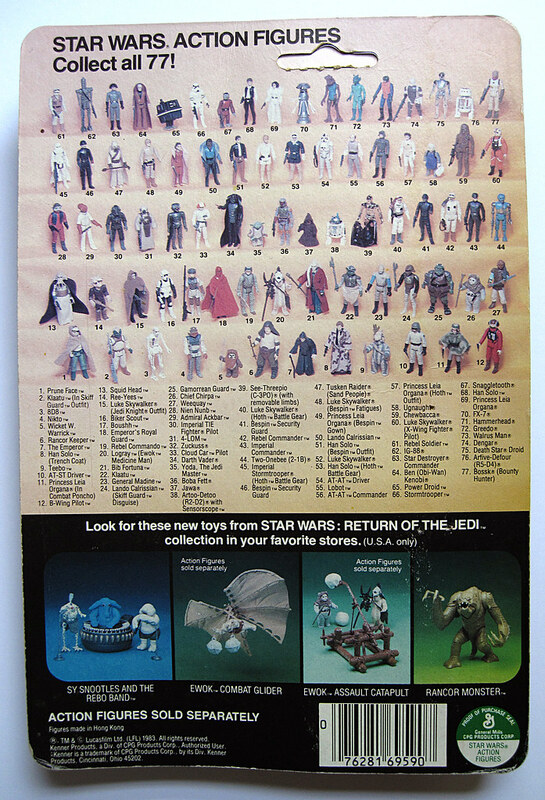 Any interest in some nice Palitoy Die Cast card backs?